Just wanted to see if anyone knows or could throw out some numbers. 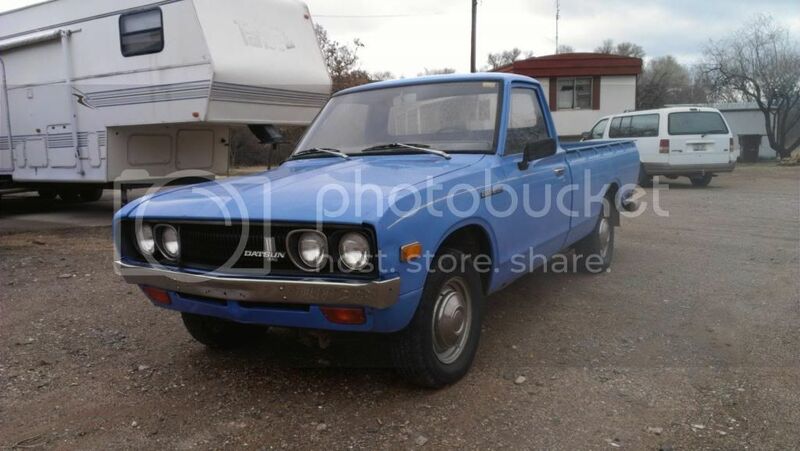 My dad has a 76 Datsun Pickup that he is looking to sell. We are unsure of the current market for these old trucks and would like some opinions if we could. It's been up north so it has some rust. Only has 33K original miles. Starts up and runs great. I know a guy who is stock piling these trucks. He will be more then interested but I have no idea what he will offer or what yours is worth. That's a nice truck. It would be the nicest truck the guy has if he got it off your hands... Pm me if you want to see if I can get him to look at it and maybe shoot you an offer. Where is it located as of now? Is it in town? Its out here in Apache Junction at my dads house. I will PM you his number so maybe you can pass it on to the guy you know. I had one of those, many years ago. Bounce it off of JimmyDe. Looks pretty good for unrestored. Same one I'm sure. I told him to throw it up there. check out this forum. it is a local datsun group. I love these trucks!my mom used to have one. Apparently, DesertDatsuns doesn't like when you sign up to sell things. I went to the guys house I told you about but there was no answer... I'll try another time if I'm in the area again.